From left to right is Daisy, me and Espi. 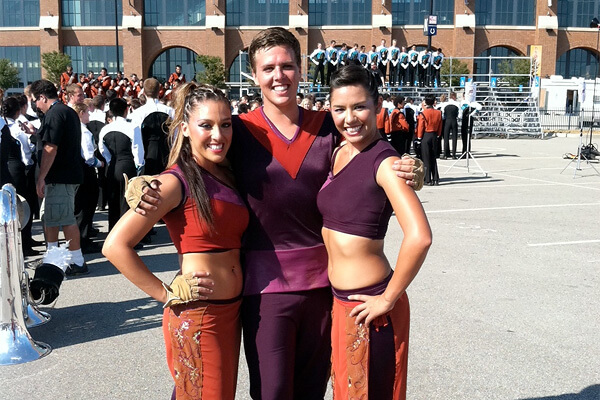 The three of us were best friends this summer and were all on the Mandarins weapon line in the color guard. We started the season together and this was our last picture together of the entire summer to make it a memory. Right after our Semifinals performance at the World Championship was when this was taken out front of Lucas Oil and our uniforms were something that we loved to wear all summer. The Mandarins color guard has not been so successful at the Quarterfinals since 2009.